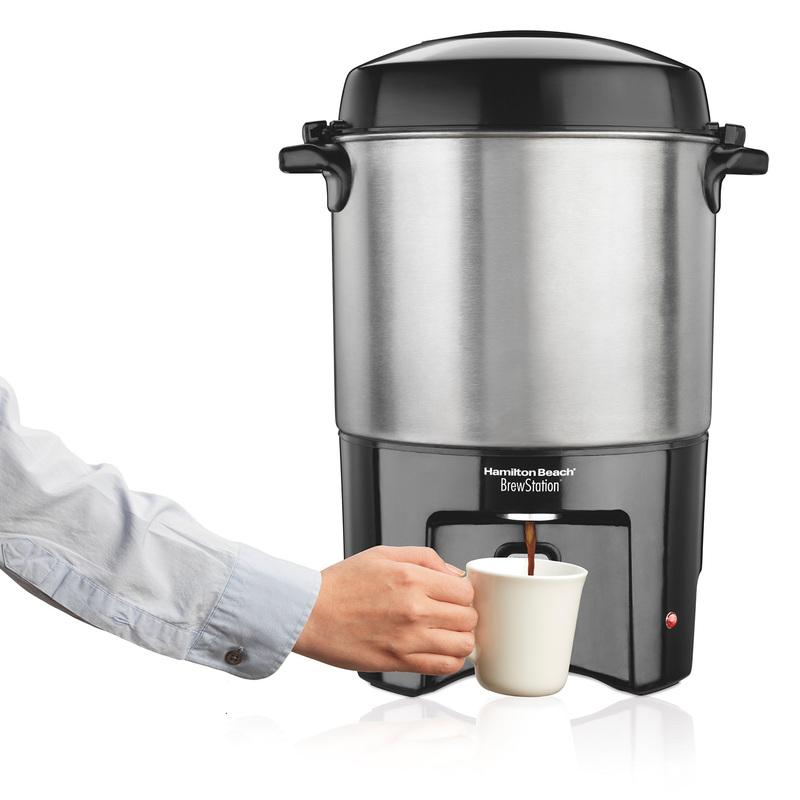 Coffee Urns for convenient brewing with parties and groups. Hosting large gatherings at home? 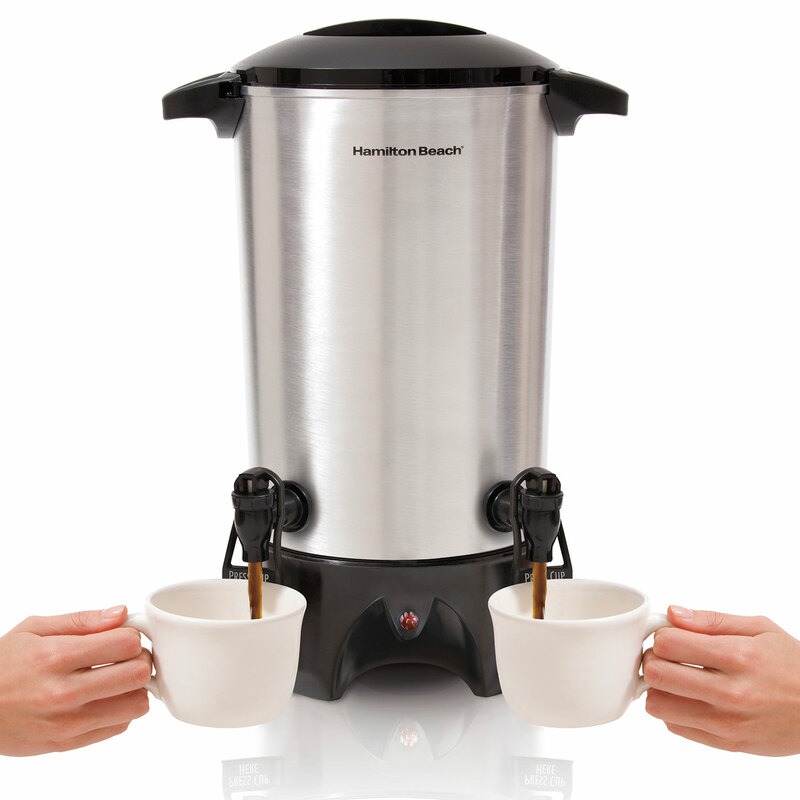 Serving crowds in business meetings or other functions? 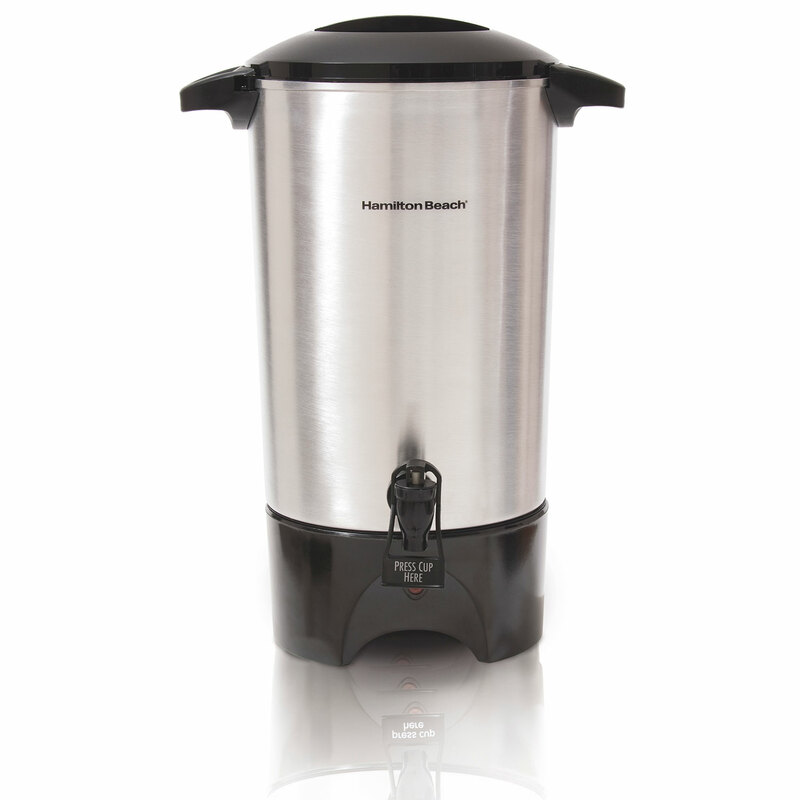 Hamilton Beach® Coffee Urns are ideal high-volume coffee dispensers. 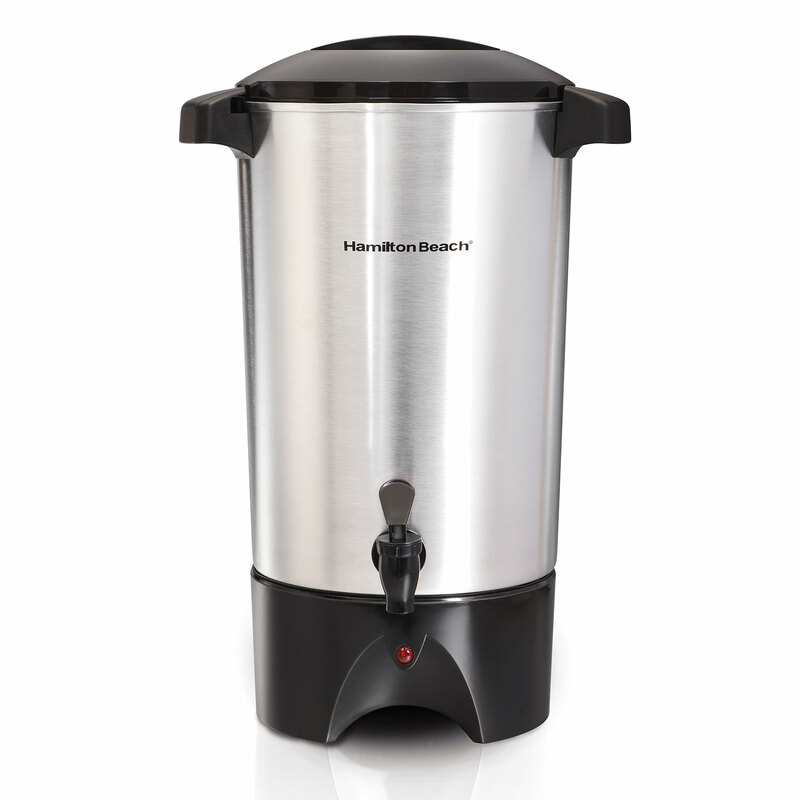 Sleek and practical, these urns have a gleaming metal finish, comfortable handles, and a locking lid to avoid spills. 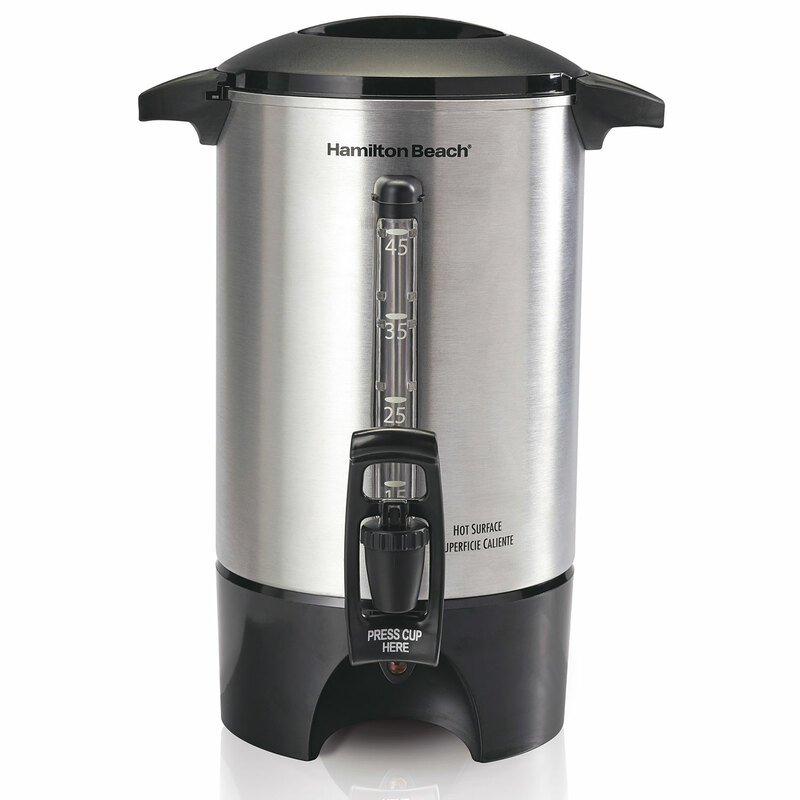 Hamilton Beach® Coffee Urns brew about a cup per minute and an indicator light lets you know when the coffee is ready. 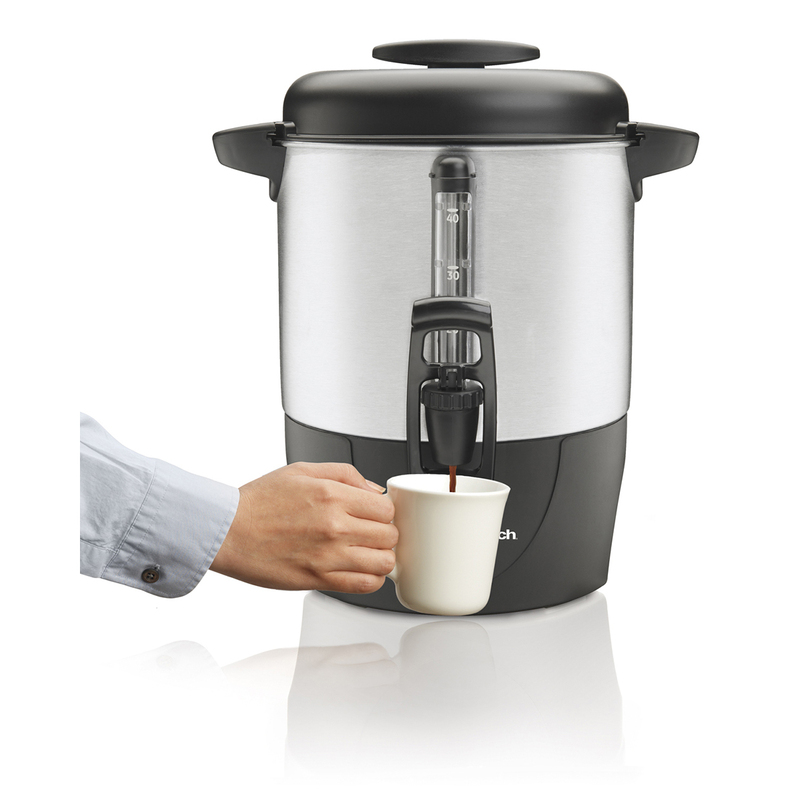 The two-way dispenser can fill a single cup or be propped to fill a larger carafe. 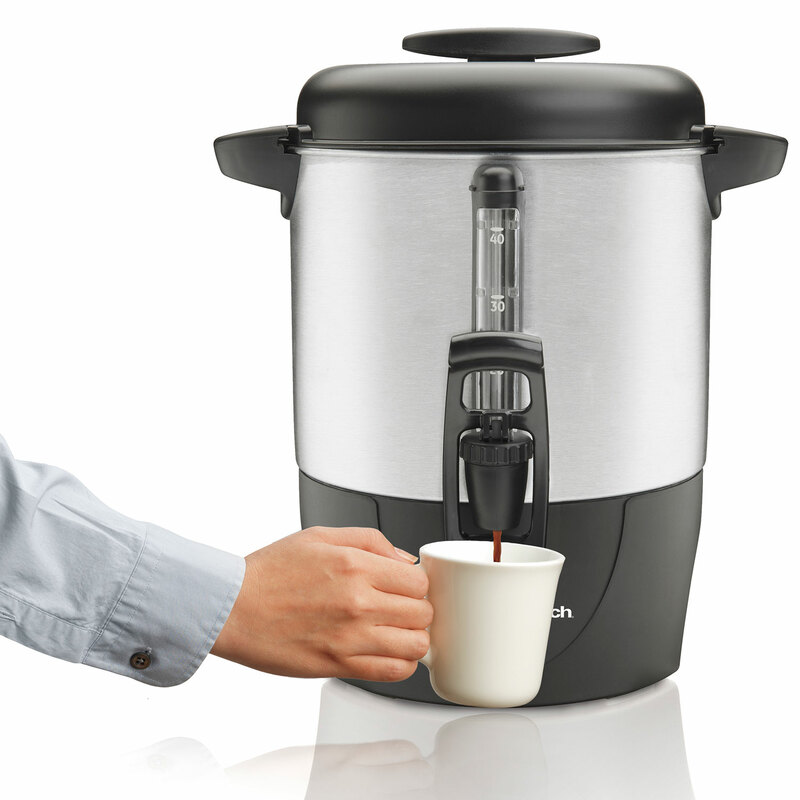 The lid and brew basket are dishwasher safe, and a detachable cord makes for easy storage.